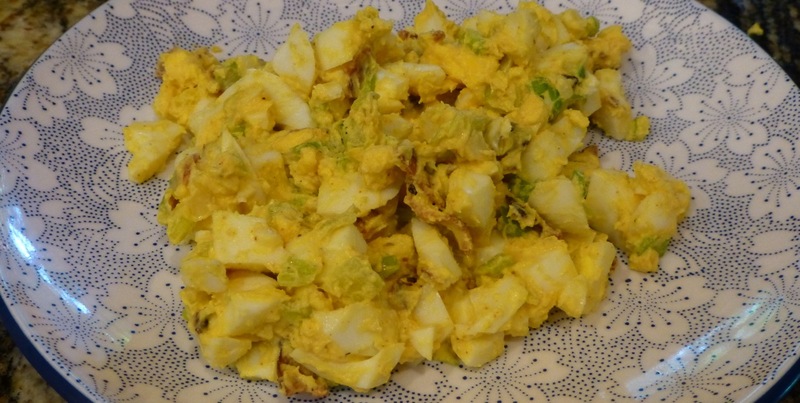 Egg salad is always a good lunch meal to have whether its as a sandwich or on a bed of lettuce. This recipe is really quite good. You can spice it up more than I did but I think it had enough “kick” with what I added. I made my own paleo mayonnaise for this using this recipe although I replaced the canola oil with olive oil (not extra virgen olive oil). Cook the bacon in a medium skillet over medium-high heat until crisp. Remove bacon from the skillet and crumble it into small pieces. Place bacon in a large bowl. Stir in the onions and the next 5 ingredients (through salt). Gently stir in the eggs. That’s pretty much it! You will enjoy this recipe! 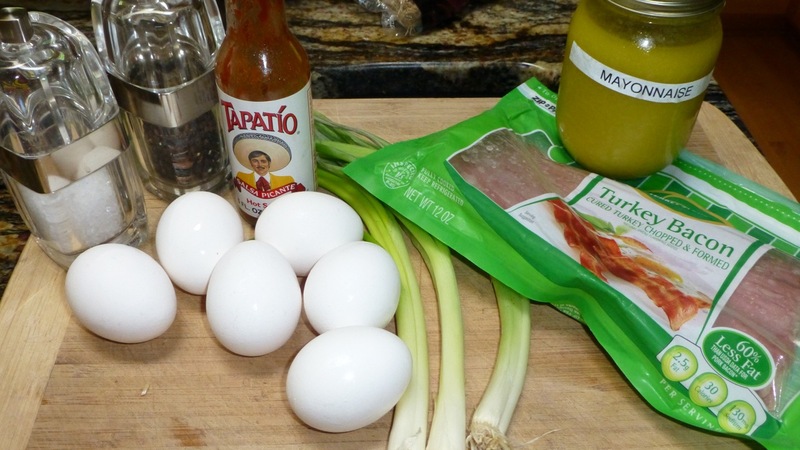 I adapted my recipe from Egg Salad with Bacon and Sriracha.